I decided to do some icons in order to use my own set of icons instead of looking for new ones each time start a new project, I wanted to be able to use them on all kinds of projects : small low definition screen, high-resolution screens and even for some print use. 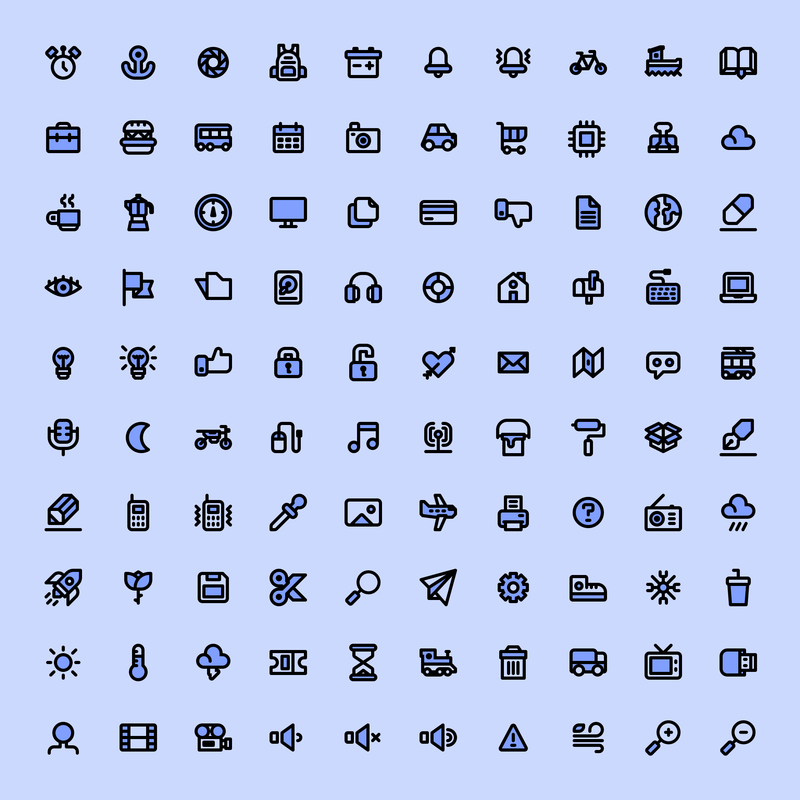 To do this icons, I mainly focus on readability, so in Figma, I used a 24px grid with a 2 pt line to draw the primary shape, the second shape is mainly for coloring and can be used to give more information or personality to each icon. I took my inspiration in two particular projects, the first one was the iconography of the Pebble watch, which is still by now my favorite piece of tech so far. All their icons were very readable on both low resolution, black and white and color display. My second inspiration was from Rayn Putnam during a collaboration with Figma on the small series of videos "iconic". This set of icons was after optimize in Sketch in order to produce high quality .svg export, I also made a .iconjar file to allow anybody to use them in total simplicity.